For many patients, their perceived happiness with their teeth has a lot to do with the color and symmetry of their smile. 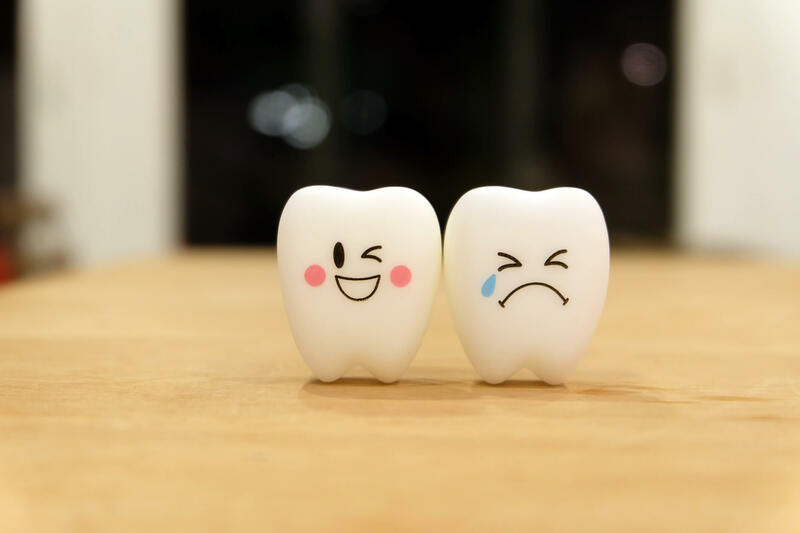 In previous posts we discussed the best options for brightening a smile to the desired level of whiteness and the significance of flossing in your oral hygiene regimen. What many patients do not realize though is how cost effective other small aesthetic dental repairs can be in providing them with their ideal smile, whatever that may look like. A common aesthetic issue that many people have is a chipped tooth. The tiny nick may not be particularly noticeable or upsetting, but just that little bit of imperfection can be a frustrating insecurity during a job interview or a meeting with a client. Our patient Jenna had much the same feelings about two decalcification spots and a chipped corner on one of her front teeth. 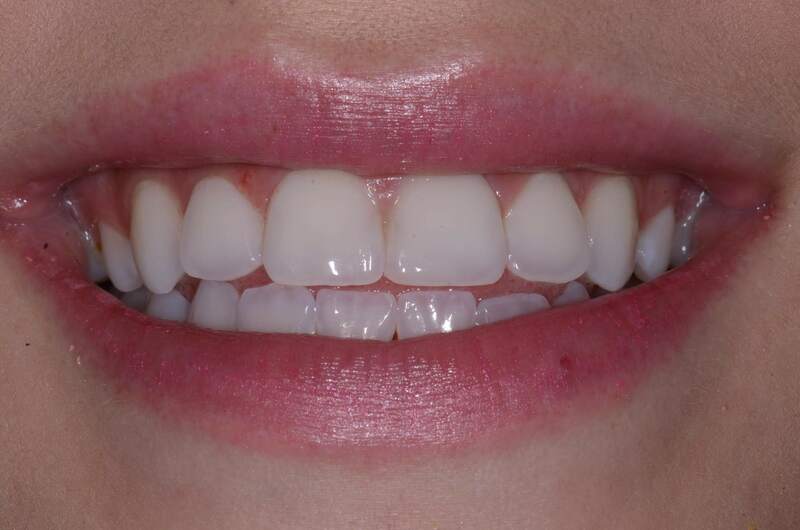 That slight asymmetry in Jenna’s smile (in this picture: the front upper right tooth, known as the upper left central to the dentist) made her self-conscious, but Desert Sun Smiles dentist Dr. Lee Ann Brady was able to repair the issue with ease. Dr. Brady used composite filling material to fill in and even out the teeth where needed. Now Jenna’s smile is not only white from a recent whitening treatment at the Desert Sun Smiles office, but her front teeth are symmetrical. The entire process of repairing the spots and chip took less than an hour and can be reasonably priced depending on the number or complexity of the issue (Bonus: It will also be covered by most dental insurance plans). Cosmetic dental fixes provide bang for your buck and can leave you with a lasting sense of confidence in your smile.